STRATEGIC RISK: THE NEW FRONTIER OF RISK MANAGEMENT - The Rough Notes Company Inc. The most important thing a risk manager can do every day is identify internal and external customers in an organization and exceed those customers’ expectations. A key element in exceeding expectations is communicating a firm’s risk plan clearly to the risk management team and to the organization at all levels. To ensure success, it’s important to institute step-by-step measurable goals that underpin the risk management plan. Then verify that management actions and the actions of the risk management team are aligned with the overarching strategic goals and plans of the organization and that the RM team is bringing value to the organization by supporting those goals. In my role as risk manager for sizable firms, I’ve found that it’s imperative to communicate the importance of risk management and the team that’s responsible for it to the larger organization. The organization as a whole must believe in the importance of the risk management team’s endeavors. A good risk management plan is developed with the input of those at the highest level of an organization, but it must be supported at all levels and in all business locations and facilities. To identify strategic risks, everyone in the organization must check their biases at the door and realize that they don’t know what they don’t know. When the risk management team is successful and its success can be demonstrated, good companies celebrate the team’s contribution with organization-wide acknowledgement. This not only encourages the RM team but also provides an opportunity to highlight what the team is doing and how it is helping the organization with its strategic plan. It’s important to achieve buy-in to the risk management plan with all personnel. Building support from the local management team up, engaging all company facilities, and demonstrating how ongoing risk management activities support the firm’s goals and its productivity lead to a realization of the risk management team’s value and contribute to a successful, smoothly running company. Risk management is not just the domain of large firms. That’s why it’s important for agents and brokers to understand what goes into maintaining a successful endeavor. Most important, the culture of an organization needs to be driven by risk management. For that to happen, there should be open avenues of communication, accurate assessments and audits, a good working relationship with local personnel and management, and effective branding of risk management activities and programs. In any organization, risk management first needs support from the top down. In this way, departments and managers at all levels become aware of the importance of the risk management plan to the organization. These managers are then more inclined to put procedures in place to comply with risk management initiatives. Without the support of upper-level management, risk managers may not be able to achieve organization-wide results, which may cause higher losses. 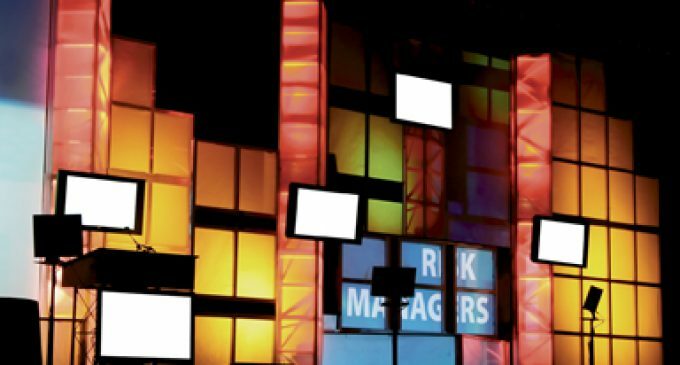 Today risk managers increasingly are involved at the highest levels of strategic planning. Organizations are beginning to realize how important it is to cut the total cost of risk and how this leads to greater profitability and improved financial results. We are talking about strategic concerns, not just tactical ones. Strategic risks may come from either internal or external events; they are risks that could potentially interfere with the organization’s ability to achieve its strategic objectives. To identify strategic risks, all members of the organization must check their biases at the door and realize that they don’t know what they don’t know. Risk managers and those acting or advising in their stead should be scanning for the non-traditional insurable risks and risks that prevent the organization from hitting its strategic goals. Don’t just look for financial or compliance risks—think about strategic risks too. Strongly held beliefs within an organization can cause leaders and managers to overlook or miscalculate the probability of events that might disrupt their business and impair their ability to respond. Overconfidence and unquestioning optimism can blind stakeholders to these hidden risks and cause them to downplay potential problems that are in opposition to what they may already believe. Some familiar organizational problems may prevent executives and risk management personnel from taking a clear-minded approach to identifying strategic risks. Everything from poor internal communication and an unwieldy bureaucracy to an unthinking herd mentality can keep key players from making the right choices to guard against risk. Being alert to strategic risks is not easy, but it is proving to be invaluable as many organizations on the cutting edge of risk identification work at linking it with the success of their strategic goals and plans. These organizations know that every strategic option has inherent risk. Therefore the ability to mine reliable data and track strategic risks on an ongoing basis enables risk managers to build high-quality reporting that can create a competitive edge. Metrics, predictive analytics, and actuarial analyses that are more objective than subjective can take an organization into a successful and secure future. The analytics revolution has fundamentally altered the insurance landscape in the last decade. Multiple statistics-based models can be used by skilled risk evaluators to develop high-level analytics. This generates value, as enhanced decision making based on solid data brings improved loss ratios. More focused use of data enables higher levels of productivity. Armed with clearer understanding, executives and risk managers can start asking the right questions about the organization and the new world of potential disruptors that surround it, not only to predict changes but also to help them see the unanticipated risks. A strategic risk decision process can help executives and risk managers zero in on the risks that might upend an organization or perhaps open new business opportunities. The difficulty for many leaders is not a lack of information but rather the inability to sort through the mountain of data available to them. This can make it harder for executives to identify strategic risks. Risk managers should not just present information, but they also should present it in ways that will help decision makers digest and analyze it—and in ways that can help cut through biases and organizational culture and bureaucracy. Because strategic risks can play havoc with management’s strategic goals and plans, the leaders responsible for those choices must be part of the conversation about the new challenges that face the organization. Executives need to champion risk management and be vocal about its importance to organizational health and success. Company leaders can connect all the stakeholders and bring them into an awareness of the strategic risks that the organization faces. Strategic risk identification is the new challenge for risk managers; it’s a challenge that demands a detailed discussion about the disruptive forces that are sometimes brought to bear on companies and the opportunities that these risks may uncover. Equipped with the right technology, personnel, and organizational structure, leaders can control how quickly they identify these risks and incorporate them into their ongoing risk management plan. Dan Kugler is vice president of enterprise risk management at REV Group, a manufacturer of motor vehicles for bus, emergency, specialty and recreation markets worldwide. He is a faculty member in The National Alliance’s Certified Risk Manager (CRM) program. BUYING IN—IS NOW THE TIME?